Development of technologies to improve the efficiency of breeding to develop cultivars, which meet market needs including taste, freshness, health benefit and convenience beside resistance to biotic and abiotic stress. Improve the understanding of interaction between native ecosystem and production system and develop best practices to conserve biodiversity and sustainable use of resources. Understand social needs of communities and build the capabilities for practice the change, for effective utilization of resources and adoption of technologies and respond to needs including bio-security needs. Intensive farming is an agricultural production technique under which the high inputs of capital, labour, heavy technologies (pesticides and chemical fertilizers) are used. Today, intensive agriculture involves high use of mechanical ploughing, chemical fertilizers, herbicides, fungicides, insecticides, plant growth regulators and/or pesticides. Besides, intensive animal farming is also its another aspect, which involves very large number of animals raised on limited land which require large amounts of food, water and medical inputs. Intensive farming allows large quantities of meat, poultry, pork and eggs to be produced with consistent quality and minimal cost to the consumer. Centralized feeding allows price breaks for feed costs using bulk purchasing power and a centralized location for the distribution of products. 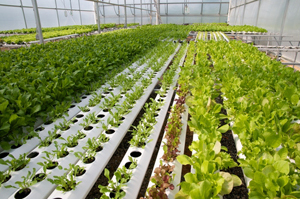 Through intensive farming, the farmer can produce vegetables, fruits and poultry products in large amount. As a result, they become less expensive. This means that poor people can afford a balanced and nutritious diet. Intensive farming yield is high. Therefore, more people can use its benefits. Apart from that, large farming spaces are required to cultivate organic crops using natural manure. However, with the introduction of intensive farming, the space requirement for farming is less. Intensive farming results large productivity of food with less amount of land. This would help to meet the ever-growing demand for food supplies. Intensive farming protects the environment because it reduces the amount of land used for agriculture. There are only two ways to produce bulk food. Either take land from rain forests or intensify existing farms. Therefore, intensive farming helps to protect the wild environment by making better use of farms. Not much space for the animal(s) to move therefore less energy used up; so less food supplied to the cattle, which leads to cheaper products. The animals are being fed continuously for maximum growth, and they have very little exercising space to burn off the extra meat. The animals are tightly packed together and forced to lay eggs. The Modern Intensive methods used in farming are compatible with biodiversity conservation.